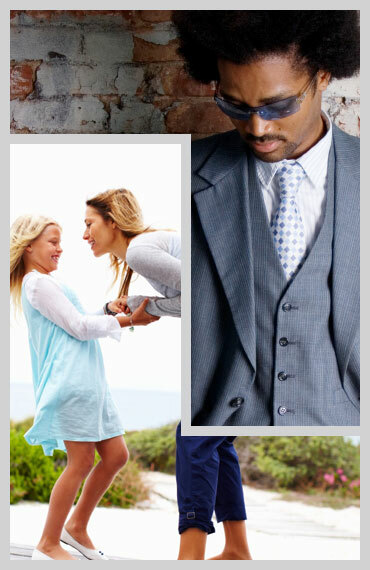 Our goal is to help people of all shapes and sizes, style preferences and budgets. We`re here to help people understand, develop and implement their very own sense of style – their own unique “brand”. Style should be accessible for everyone – not just the rich and famous. Don`t be a super consumer. Be like the French: buy fewer pieces, good quality, and love what you own. It`s not about being “ìn fashion”. It`s about feeling confident – indeed, feeling GREAT – in what you’re wearing. Everyone should feel attractive and confident. This is important for your success. Lazina helped me find a style that makes me feel confident in both my personal and professional lives. She helped me pick out pieces I wouldn’t have seen on my own and put them together in a way that is uniquely me!